Guardian Insurance is a provider of pet insurance, life insurance, income protection insurance, funeral insurance and accident insurance. The table below displays a snapshot of Guardian pet insurance policies with accident and illness cover on Canstar’s database, sorted by Star Rating (highest to lowest). These results are based on cover for a one-year-old medium dog breed. If you are considering a Guardian pet insurance policy, check upfront with Guardian Insurance and read the PDS to confirm the details of the policy and whether it meets your needs before committing to it. What types of pet insurance does Guardian Insurance offer? Guardian Insurance offers Silver Accident Cover, and two levels of Accident and Illness cover: Gold and Platinum. What breed of pets does Guardian Insurance pet insurance cover? Guardian Insurance covers dogs of small, medium and large breeds, as well as cats. How do you take out pet insurance from Guardian Insurance? You can purchase a Guardian Insurance pet insurance policy online. But first, consider comparing your options with Canstar. What is not covered by Guardian Insurance pet insurance? Guardian Insurance lists some illnesses and injuries that are not covered by its pet insurance. These include pregnancy, elective procedures, grooming, behavioural problems and pre-existing conditions. What is the age limit for pets covered by Guardian Insurance pet insurance? 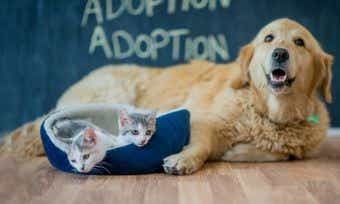 Guardian Insurance will only insure a pet under its Gold or Platinum policies if the pet is older than eight weeks and younger than nine years. There is no upper age limit for a Silver policy. You can find more details about this in the Product Disclosure Statement. It’s important to check with your chosen provider to see if it has an age limit on policies – older pets tend to be more expensive to cover as they are much more likely to suffer from illness or injury than younger pets. Do I have to provide medical records to take out Guardian Insurance pet insurance? No, Guardian Insurance says it does not require medical records for it to insure your pet. However, if you want to try and insure your pet despite a pre-existing condition, you may need to submit veterinary records that verify that your pet has recently been free of signs/symptoms of said condition. Read the Product Disclosure Statement for more information. Does Guardian Insurance give me the option to visit my vet of choice? Yes, Guardian Insurance lets you use any vet licensed to practice in Australia. Does Guardian Insurance place an annual benefit limit on pet insurance claims? Yes, your Guardian pet insurance policy will have a maximum annual benefit limit of either $12,000 (Gold and Platinum policies) or $8,000 (Silver policies). The annual benefit limit, claim terms and conditions for each policy is outlined in the Product Disclosure Statement. Find out more about pet insurance benefit limits and how much you can claim here. 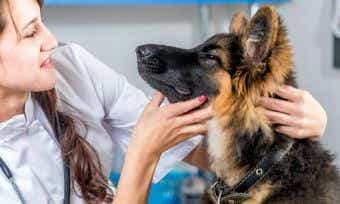 What percentage of vet fees are reimbursed by Guardian Insurance? Guardian allows you to receive a reimbursement of up to either 80% (Silver and Platinum policies) or 75% (Gold policies) of your eligible vet costs. The reimbursement you receive will depend on the age of your pet and your choice of insurance cover. How do you lodge a claim with Guardian Insurance? You can lodge a claim with Guardian Insurance either online or by post. 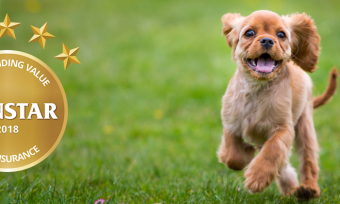 How do you renew your pet insurance with Guardian Insurance? Your Guardian Insurance pet insurance policy will automatically renew if you choose not to alter or cancel it after receiving your renewal notice. If you’re not sure whether to renew or switch, here’s our guide to renewing your pet insurance policy. Guardian Insurance is a trading name of Greenstone Financial Services (GFS). GFS has partnered with Hannover Life Re of Australasia Ltd, which is the insurer of the Guardian range of products.